Be quick if you want to get along to what looks like a really fun evening in London on Thursday May 8th 2014. The anti-poverty charity ActionAid invite you to to join them for an evening of wonderful wine, food and celebrity entertainment to raise funds for ActionAid’s SheCANâ€¦ appeal to help women overcome the dual effects of violence and poverty. All funds raised on the night by UK individuals will be matched pound for pound by the UK government.The evening will be hosted by Sky News anchor Dermot Murnaghan, who will be joined by panellists Fay Ripley, Hardeep Singh Kohli and Josie Lawrence who will contribute their sharp wit to the proceedings in a Call My Bluff format blind tasting. An auction on the evening will include a week’s stay in a luxury private villa in Majorca, an exclusive box at Wembley to see One Direction, a year’s supply of wine and an ActionAid trip of a lifetime to Vietnam. 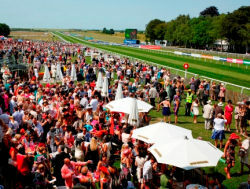 Tickets start at £295pp or £2,750 for a table of 10. Thursday 8 May 2014, 6.30pm-11:00pm, Gibson Hall, Bishopsgate, EC2N 3BA. Tickets and info from www.actionaid.org.uk/winebluff. Sorry about the atypically (for wine-pages) shouty headline, but I guess that’s what the organisers of the ‘Concours Mondial du Sauvignon Blanc’ want to convey with their press release showing that the Kiwis failed to lift any of the trophies on offer in the 2014 competition. All four trophies on offer (‘oaked blend’, ‘oaked varietal Sauvignon Blanc’, ‘unoaked blend’ and ‘unoaked varietal Sauvignon Blanc’) went to wines from France, though the latter was shared with wines from Spain and Italy. I note that of 64 judges, 34 came from France and one from New Zealand. The competition was held in Bordeaux. 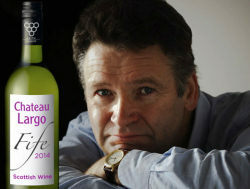 The story of US real-estate millionnaire Julian LeCraw, suing Britain’s Antique Wine Company (AWC) and its CEO Stephen Williams for selling him fake wine, has made the mainstream press in the last week or so. That’s probably because the law suit, filed in Atlanta, Georgia, is reputedly seeking over $25 million in damages. 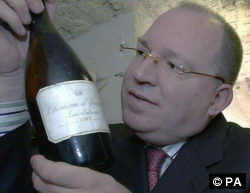 LeCraw claims a bottle of 1787 Yquem he purchased for $100,000 is a fake, as well as several bottles of Lafite-Rothschild and of Château Margaux. He also alleges non-payment of several million dollars that AWC owes him for wines he consigned to the company for sale. Stephen Williams (right) issued a statement which said: “In view of certain incorrect statements which are circulating in the media and online, The Antique Wine Company finds it necessary to emphasize that it duly researched the provenance of the wines it supplied and fully disclosed that information to Julian LeCraw Jr. at the time of his various purchases. We provide below some examples of the diligence exercised with respect to the most prominent bottles in the dispute.” Those examples include a letter issued by Château d’Yquem which described the bottle and confirmed that their cellarmaster had re-corked and relabelled it, and that this authenticity of the letter had been verified by Comte Alexandre de Lur Saluces, former owner of the château. Bloomberg recently reported that the effects of climate change have made it possible for Scotland-based chef and cookery writer Chirstopher Trotter to ripen grapes and make wine from his vineyard on the northern side of the Firth of Forth opposite Edinburgh, in the Fife village of Upper Largo. 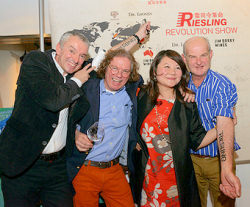 He cites a climate change expert who told him the Scotland could soon have a similar climate to the Loire Valley as his inspiration, though he has planted the early ripening German varieties Solaris and Siegerrebe rather than Sauvignon, and red grape hybrid Rondo rather than Cabernet Franc. So far the vineyard has only 200-vines, but July temperatures last year averaged 21.4ºC leading to excellent growth. Trotter told Bloomberg that if the experiment is successful he will look for investors to plant his 2.4ha site.